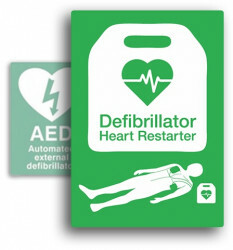 Purchase 50 or more AED Self Adhesive Wall Sign 25x30cms and download your free support pack worth £100. Purchase 200 or more AED Self Adhesive Wall Sign 25x30cms and you can have personalised covers absolutely free! 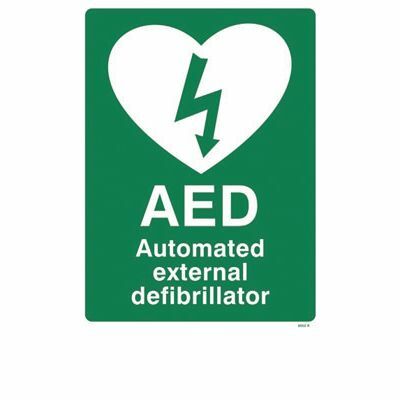 A self-adhesive AED wall sign made from self adhesive vinyl. 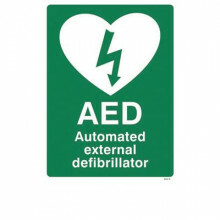 This is the universal AED sign as recommended by the Resuscitation Council (UK).